Canoe Communications site and all contents, photographs, images, stories, posts, etc. is copyright protected. There is no affiliation whatsoever or any connection to an advertising firm with a similar name. Imagine yourself walking up a wooded path to a place where you can talk with others about the arts, ideas, nature, photography, and travel–Canoe Communications. It’s a blog where you can learn a little about Midwestern culture and life and more. For photography, I am interested in events, nature, street, travel and country and urban. Whether visit for just a post or to see a picture or two; I hope you enjoy it. I invite you to share your comments and ideas. I received the Adventurous Blogger Award from http://reenareigns.wordpress.com/2012/09/02/adventurous-blogger-award/ a fellow traveler, and an adventurous one. It’s exciting. I want to thank her for the award! The award is given by bloggers to bloggers and passed on to continue. I appreciate reenareigns.wordpress.com nominating me for the award. Part of the award process is to tell you some things about myself and to nominate twelve other bloggers. I understand if a nominated blogger doesn’t want to participate. I still enjoy your blog and please keep adding lots of the pictures. 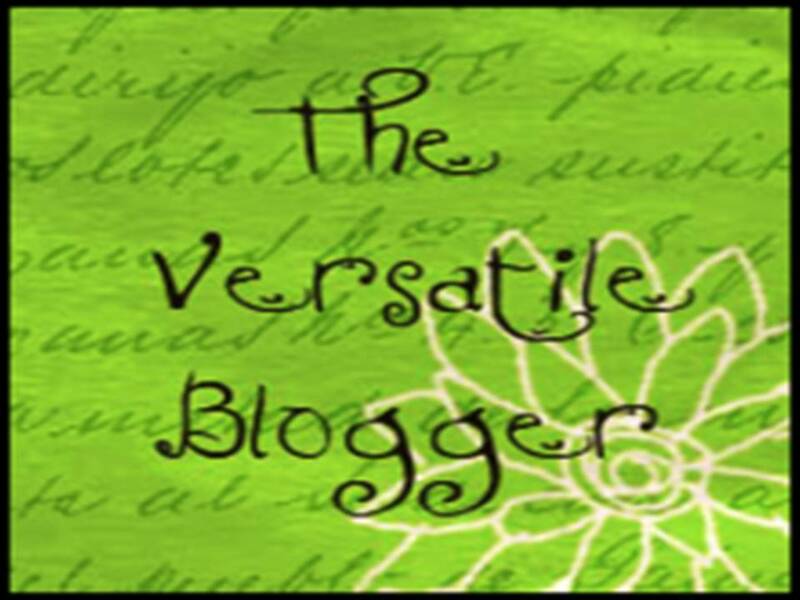 I was truly surprised and thrilled that The Retiring Sort nominated me for the Versatile Blogger Award. I want to thank her very much for selecting me for the award. I understand that someone may prefer not to go through awards process. I’m sure these bloggers know some other versatile blogs; and they share them with us and shine the light on some other interesting. I am grateful for the awards I received. I am not accepting additional awards, because it’s just too hard to narrow down a list of other bloggers to nominate from all the amazing ones in the blogsphere. Thank you. Greetings from Richmond. Your opening picture has already piqued my interest! Thanks for your comment on the photo I posted (from another wp blog)…the picture was Toward the Light. I’ll be visiting your blog again, to catch up with lions. Thank you for the kind words, please stop by again. So nice to meet you! thanks for the visit over at my blog today….I’ll be back to visit a little more with you. I’m such a ditz and it’s getting late – I nominated you for the VERSATILE Blogger Award (see the link.) Sorry about that! I consider great news. I really appreciate your nominating. I’m so glad that you enjoy the posts. Thanks for visit my blog. It was a nice visit, enjoyed the post and the pictures. What a cool travel award. I will visit your site to learn more about it. Thank you very much. Rewild West thank you. I just liked gazing at your photos of the vast, colorful desert landscape. I’m all for rewilding the West. I’ll check it out. Thanks. I like the concept and really enjoy reading about regions. I may do one on rivers in a region with some eco and eco/activities in it. Thanks! Yeah, bioregions are so important to learn about, and familiarize ourselves with, especially our own, and most especially when the industrial food supply begins to fall apart and we have to acquire our food self/community-sufficiently! Thanks RewildWest. “Taking advantage” is meant to enjoy, explore and support the wilderness and parks. Just wanted to let you know I have nominated you for the No Strings Attached-Gratitude Award. I hope this will be welcome news for you. I also hope you will visit the other nominees, and they will visit you. 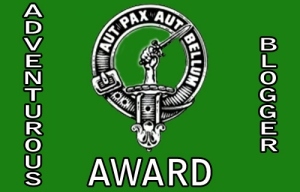 To see more about the award and accepting this nomination (no strings on this one), please visit my post at http://wp.me/p2ekZU-E4. All the best! That is very kind of you. I’ll visit your blog to learn about it. I like the title of the award. You have been tagged by me in this week’s Tag Blogathon. Many thanks for dropping by on my meanderings. May your paddles be blessed with good fortune! May paddle your way again. Thanks for the visit. Interesting site and love the photography. Thanks for visiting our travel blog and checking out our photos : ) Congrats on your awards. Very kind of you to nominate me, and I’ll read up on it. Thanks for liking my blog post. Love that you’re in the Midwest too! Great site. Thanks for liking my Rail Crossing pic. Thank you for liking my Big Lobster! Never been to the mid-West, but I know I’ll be back to learn more from your Blog. Do drop by mine again. 🙂 thanks, I like big crabs and fish too! Thank you for the thoughtful invite. Really enjoyed your post, always welcome to visit. Thank you for coming and looking around my blog. I appreciate the like of my posts “Willis Tower Through the Trees”, “Sailing Sailing” and “About RCC”. Thank you for stopping by my blog. Loved checking yours out- since I’m from the midwest, your Halloween photos especially brought back thoughts of home! You can find out more about the nomination here: http://fotshot.wordpress.com/2012/11/03/one-lovely-blog-award-nomination. oh umm .. did you get a pingback from this post of mine ? Just wanted to drop you a note and thank you for your continued support and liking of my blog 🙂 I am trying to get better and keeping it current… one day at a time… LOL. THanks again! Thanks for liking my Toad Lily. I like your Blog. You make me want to visit the Midwest. G’day, thanks for checking out my post. I’m extremely ‘green’ at this and appreciate any feedback! I look forward to following a fellow ‘wandering soul’s’ adventures. Thanks for stopping by my blog, “SipwithDusty.” I’m glad you enjoyed the Amtrak post. If you haven’t already seen it, you might also check out a previous post of mine, “No Matter Where It’s Going.” http://wp.me/p2Exty-20 Thanks! I’ll will stop by this week and read it and catch up with you. Thank you Miljo Anne! Thanks so much for stopping by my blog. You’re photography is fantastic. I’ll be back and check in. Feel free to leave comments when you like something. Love to hear your thoughts. Thanks for visiting my blog! I’m really liking your pictures. We live on a little river in Texas that is popular with kayakers and canoers. And it’s my own personal bit of heaven. I’ll be looking forward to seeing more of your part of the country. Hi! Thank you for checking out my blog. You have a pretty cool site! I wish you all the best, Diana. Thanks for the visit. You seem to be on the go quite a bit. I just came to your site so you may have already posted the answer to my question. Do you still use film? I have a camera I was given on my sixteenth-birthday a Canon Rebel SII as a B&W film only camera. Currently setting up my own B&W darkroom for printing only. Cheers! Yes, I like to use both film and digital. I like to go back and forth between the two. I think it’s interesting that Instagram pics are reminiscent of film, and some apps for android and smart phones too. I am a iPhone guy, I don’t know about those pesky android apps. I do agree with you about instagram. Live in the moments that matter – wonderful words to live by. Congratulations – well deserved. I just love reading your blogsite so I have nominated you for three more blogging awards. I hope you accept if not I understand. It is a lot to do. Happy holidays! Thanks for stopping by my blog and liking a post! Your Lake Michigan photos remind me of some favorite places to go – Sliver Lake in St Joe, Holland St Park in Holland, and the beach at Ludington! Thanks for the like on my site. I love your photos and adventures. Just wanted to thank you for liking my recent post ‘Word a Week Challenge entry – Clouds’ Your continued support is encouraging! I nominated you for a Liebster Award – see http://janellenferrigan.com/ I’m not sure exactly what it means, but I enjoy your blog – cheers and hope the link sends some more people over to your posts. Congratulations! I love your blog and have nominated you for the Versatile Blogger Award. However, there are rules and I won’t be offended if you don’t want to follow them. I just wanted to share your blog with others. Thanks Jubilee, it’s very thoughtful. And if you’re wondering…yes, your blog does inspire me! very thoughtful of, I’ll check it out. Congratulations! I have followed your lovely blog for quite a while and would like to add a third award to the mix. Would you mind if I nominated your blog for the Beautiful Blog Award? Thank you! I visit your blog on Monday and catch up. Thanks again very sweet. I enjoyed and thanks for stopping by. Thanks for the awards nominations everyone and I’m visiting you next week to read up. Thank you for stopping by Clicks & Corks and liking one of my images. You have a pretty cool blog with a solid idea behind it! Thanks for stopping by my blog! It’s always good to know others appreciate your work. I spent time looking around your blog. We seem to have similar interests. Awesome! I enjoyed blog too. Thanks for your comment. I am very happy to know you are back to blogging again…I thought you had stopped…but alas,, NOT! Thanks for the nomination (it feels good!) now I have to figure out my next step. THAK YOU A BUNCH! Thank you for your kind words. I took a few days of for a holiday. You’re very welcome. Thank you for stopping by Travelling Namibia. Wish we could do more canoeing here… but we have other adventures. Great blog! Such enticing adventures too, as I see on your blog! Thank you so much for visiting my blog and liking a post weekly photo challenge. I hope you will visit it back. I love the photographs in your posts and loved the music category too 🙂 Travel and Music is something I adore the most. Hey there, I’ve nominated you for the 3-Day Quote Challenge. Check it out.